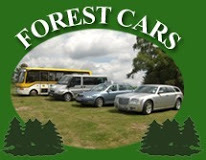 Forest Cars is a family business providing professional taxi services throughout East Sussex for over 20 years. We strive to give our customers a caring, reliable and friendly service at all times. Our taxi drivers and car escorts are trustworthy, highly experienced and have worked with us for many years. They are all carefully vetted by the local authority and approved by the Criminal Records Bureau and DVLC. All our cars are estate vehicles for extra carrying capacity. We have eight taxis and three eight-seat minibuses with good leg room and comfortable seats. If you are looking for something more luxurious, we have an executive car, Chrysler 300C Estate, for that extra comfort. Trips to gardens, historic houses, themed parks, sporting events, theatres and places of interests are our speciality. We also provide taxi service for all airport and seaport transfers, complete with meet and greet arrangements at the airport. We can even carry out tours around the UK and abroad. Our drivers are very knowledgeable about the local area and are able to offer whole day and half day tours around the Ashdown Forest to visit famous locations such as Poohs Place, 100 ‘Aker Wood’ and so much more. We offer a 24 hour service if pre-booked and women drivers are available if preferred. We also welcome accounts.